The market has changed drastically since the news of the new tax law for capital gain, as well as the European financial situation has played an important role. Vendors has realised that they need to adjust their prices to sell, and buyers are quickly there to snap up the property once the price reaches the new market level. With this we have experienced a boost in holiday home sales. 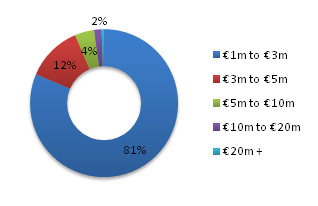 The number of properties available for sale priced over €1m decreased by 8.89% to 7.048 units in October. It is expected that the sale of luxury properties will continue to increase as prices are coming down. The EstateNetFrance.com Research Luxury Property Index offers a unique and independent view of the French Riviera and Monaco’s luxury property market. The monthly index reflects the evolving prime market, and for the first time provides authoritative data for the world’s most exclusive holiday home destination. It segments the upper end of the market for apartments and villas within the Alpes-Maritimes department and Monaco, in groups of €1million to €3million, €3million to €5million, €5million to €10million, €10million to €20million and €20million and up. Vence is considered as the “balcony” of the French Riviera with its stunning panoramic views from Monaco to St Tropez. Its proximity to Monaco and Nice airport makes it a sought after area for home buyers. 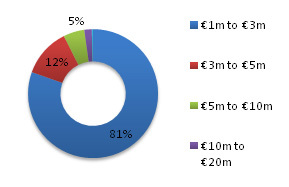 Today there are 229 properties offered for sale in Vence over €1m which gives a total market value of €635m. 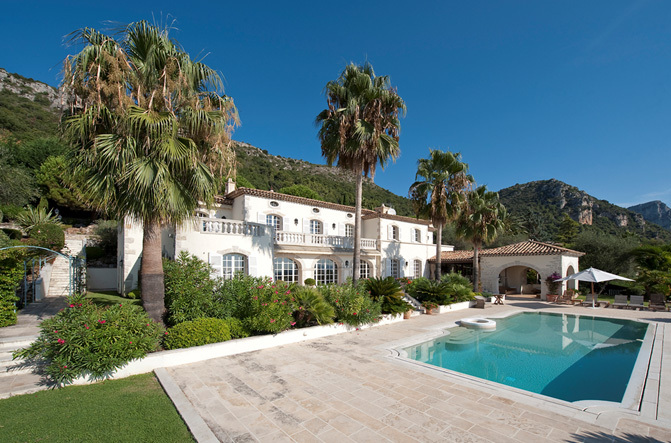 A luxury villa here will cost an average of €2.780.000. In Vence, approximately 2 kms from the village, in a quiet and residential location, enjoying dramatic views of the Mediterranean, a superb property renovated in 2009 comprising a large “villa de maîtres” partly in stone, an independent guest’s house and guests accommodation, set in beautiful grounds of 7 400m² with a heated swimming-pool and a tennis court. Entrance hall ; living-room with fireplace ; sitting/dining-room and library ; large, fitted kitchen opening onto a huge summer dining-room and a summer sitting-room. A bedroom/study with bathroom. Linen / laundry-room. Upstairs : Master bedroom suite with dressing-room, study and bathroom ; large terrace. Three other bedrooms all with en-suite bathrooms. Basement: Very beautiful billiard-games room with bar area ; home cinema and storage-rooms. Lower garden level : Guest’s apartment (50 m²) two rooms. Independent guests’ house : Two, two-three roomed apartments. Swimming-pool and Tennis court.